Written by Jori on January 27th, 2017 January 27th, 2017 . 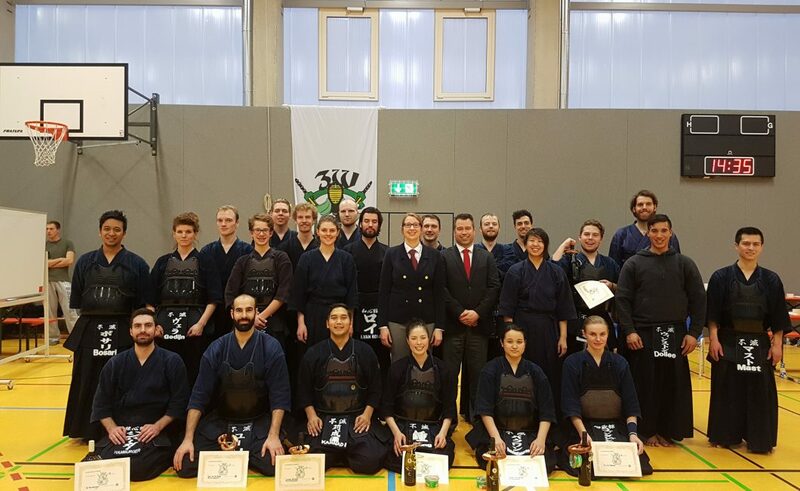 On January 21st several Museido members took part in the 3W kendo tournament in Mainz, Germany. Guido Minnaert sensei and Marije Wouters represented our dojo as shimpan (referee). It was a very pleasant and educational experience to be able to shiai and jigeiko with the German kendoka. Several participants from the Dutch delegation won prizes. Gideon Hamburger came in third in the male kyu devision, Mariëlla van der Schans became second in the women’s tournament and a team from the dojo Fumetsu (from Rotterdam) got second prize in the team competitions.